One of the main attractions at the annual Iowa State Fair, next to the 600-pound “butter cow” (a life-size heifer sculpted out of pure butter) and all manner of food impaled on a stick, is a man named Steve Deace. Deace is the host of “Deace in the Afternoon”—”the fastest three hours in all of local radio”—on a conservative Des Moines station called WHO. Last week, he and the other WHO announcers were broadcasting live from a glass-enclosed booth just inside the fairgrounds, putting them in close proximity to hordes of sun-burned Midwesterners, as well as a steady march of presidential wannabes. The news accounts trumpeting Romney's win on Saturday didn't offer much hope to people like Deace. But just beneath the headlines lay an encouraging development: Former Arkansas Governor Mike Huckabee, a bona fide conservative, had finished a respectable second. His showing was all the more impressive given that the Huckabee campaign had few organizational resources, not only compared with the Romney juggernaut, but even alongside second-tier rivals like Kansas Senator Sam Brownback and Colorado Representative Tom Tancredo. Strong organization, especially a get-out-the-vote effort, confers huge advantages in the Ames poll, to which voters must trek from all corners of the state. And yet, somehow, the Arkansan excelled nonetheless. Who knows? Maybe Deace and his fellow Romney-bashers will have a viable conservative to support after all. THERE'S NO QUESTION that Romney earned the good press he received after Ames. 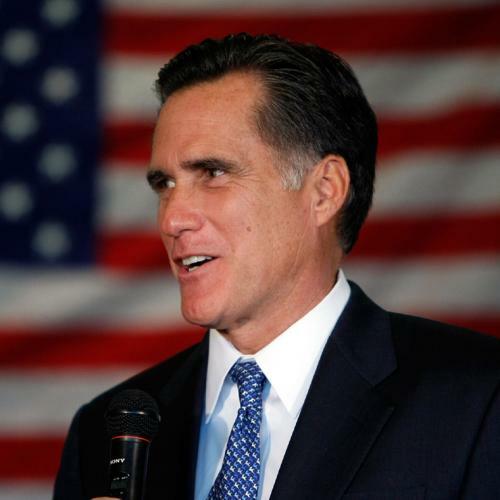 In winning nearly 32 percent of the votes cast, Romney firmly established himself as the man to beat when Iowa holds the country's first nominating contest, currently slated for next January. Moreover, with both Rudy Giuliani and John McCain skipping the straw poll, Romney won himself something else nearly as important: goodwill from the local Republican officials who value loyalty in a would-be nominee. But despite to this impressive showing, Romney's operation sometimes gave off a Potemkin feel. Case in point: A little after nine-thirty in the morning, Romney, wife Ann, and a gaggle of staffers known as the “swarm team” trooped to the parking lot to greet an arriving bus. The first person off the coach was a stout, gray-haired woman named Joni Scotter, who shrieked the moment she laid eyes on the governor and his wife. “We're going to have such a good day!” she said, then planted herself at Romney's side as the rest of the bus filed by. It was, all in all, an impressive display. Scotter, who turned out to be Romney's Linn County chair, told me she'd packed the bus full of friends and neighbors and shipped off from Marion two hours earlier. As the crowd dispersed, the khaki-clad candidate and his wife boarded a golf cart, which whisked them out of sight. What followed was a bit of a letdown. I watched the next 15 Romney buses roll in from all across Iowa. By my count, ten of those were no more than half full. A bus from Boone was less than a quarter full, as was another from Cherokee. The pattern repeated itself throughout the day. For example, the Romney campaign had erected an enormous soundstage on a lush plot of grass and hired a rock band to perform on it. The scene looked like something out of the video for the Guns N' Roses song “Paradise City.” But I never saw more than ten or 20 people in front of the stage at once. Most of Romney's supporters remained seated under a tent 20 yards away, seemingly indifferent to the music. For his part, Huckabee, had no buses and only a threadbare staff. The $150,000 he'd spent leading up to Ames paled alongside Romney's millions. But he made the most of it. His soundstage had fit on the back of a modest trailer-bed when I saw it the day before. It looked as if it had been abandoned in an unused parking lot, until I realized that the parking lot was actually Huckabee's home base. (The candidates bid on locations in an auction; it turns out you get what you pay for.) By eleven o'clock on straw-poll day, the temperature was already pushing 90 and the heat seemed to bubble up from the asphalt. But a crowd of 1 to 200 people had gathered to hear old rock 'n' roll numbers. The main draw was a soulful electric guitarist named ... Mike Huckabee. Still, it wasn't until the afternoon that I realized Huckabee might be poised for a breakthrough. Shortly after one o'clock, conservative talk-show maven Laura Ingraham, our intrepid emcee, introduced each of the straw poll candidates. The crowd erupted with applause for Romney, just as you'd expect for a man who had chartered at least one bus for each of Iowa's 99 counties. Thereafter, each of the other candidates was introduced to steady applause: Tom Tancredo. John Cox. Ron Paul. (OK, John Cox received slightly less than “steady” applause, but even I had no clue who John Cox was and I was covering the event.) Finally, Ingraham got to Huckabee, at which point the crowd roared all over again. MIKE HUCKABEE IS about as reliable as social conservatives come: He's been on the front lines of the fight against abortion and gay marriage and is unimpressed by the theory of evolution. But it's not so much his worldview that distinguishes him—Brownback can check all the same boxes—as his breezy charm. Sitting in the WHO studio the day before the straw poll, Deace and Huckabee bantered about their recent weight-loss regimens, which for Deace included drinking large amounts of water. (Deace has lost some 65 pounds in recent months.) “I do get up and pee every twenty minutes,” Deace confessed. “Well, that's better than peeing every twenty minutes and not getting up,” the former governor parried. Huckabee’s magnetism surely helped his cause on Saturday. The campaign distributed around 1,8 tickets and received almost 2,600 votes. (Straw poll attendees must obtain a $35 ticket in order to vote. Most campaigns buy them up and distribute them to supporters.) That's unusual for top performers at Ames, who normally distribute far more tickets than they net in votes, as was the case with both Romney and Brownback. Huckabee seems to have exerted a strong pull on undecided voters. There were four voting sites at Ames: one on either end of a building called Scheman, one in an auditorium called Stephens, and one in the Hilton Coliseum, the main speaking venue. The voting area on the northern end of Scheman was closest to the Huckabee tent. It was also far and away the most convenient for his supporters, given that Hilton, the next closest site, was a bit of a zoo. Nonetheless, according to an unofficial tally provided by a rival campaign, Huckabee received about 60 percent of his votes in Hilton. It's not hard to imagine the undecideds listening to Huckabee's speech, then walking into the lobby and pulling the lever for him. If true, that would bode well for Huckabee's chances of denting Romney's lead. Two things have to happen for that to come to pass. The longer-term priority is to nudge Brownback aside. The two men appeal to the same demographic and they combined to draw 33 percent of the Ames tally to Romney's 31.5. A candidate who consolidated their supporters could legitimately challenge Romney in Iowa. All the more so when you consider that many social conservatives back Romney because he seems to be the most right-wing of the top-tier candidates. Were Huckabee to look like he had a real shot at winning Iowa, he might peel off a decent number of would-be Romney voters. Of course, skeptics say the significance of the Huckabee-Brownback bloc was inflated by the absence of McCain and Giuliani on Saturday, but that analysis seems backward. Who, after all, are McCain and Giuliani more likely to draw votes from: the moderate former governor of Massachusetts, or the devoutly pro-life former governor of Arkansas? That makes the shorter-term goal of capitalizing on the good showing by raising money and signing up activists all the more important for Huckabee. There is presumably only so much money available for a second-tier social conservative. If Huckabee starts to monopolize it, he could force Brownback's exit by depriving him of cash. In the meantime, it’s Mitt Romney who may be sweating a little. Around five o'clock, the ex-governor ventured outside to sign some autographs, surrounded by a scrum of “Team Romney” staffers and volunteers. The mood was generally light. One young woman performed a series of flips and cartwheels. A blond man with a beard soared several feet into the air on a kind of industrial-strength pogo stick, which Romney's nephew manufactures. But Romney himself looked sober. Several strands of hair had broken free from the right side of his head, something I hadn't previously thought possible, and he was unusually flushed. As Steve Deace might say, we're not in the “philosophical-ethereal realm” anymore. This article appeared in the August 27, 2007, issue of the magazine.